Plexus ground probe is designed for landfill perimieter methane & H2S monitoring. Providing either 2 or 3 probe inputs, the system draws a sample from each probe and tests for methane content. All readings are sent across the network for time and date stamping and logging at the hub. 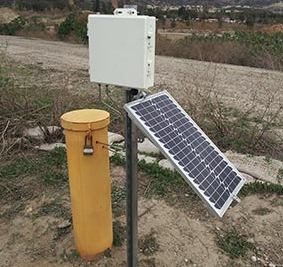 While the system has been deployed for methane monitoring, it can also be used to track other gases, such as carbon dioxide emissions.